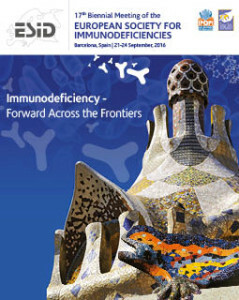 IPOPI will organise its XIVth Biennial Meeting in collaboration with ESID and INGID later this year from the 21st to the 24th of September in the fantastic city of Barcelona, Spain. We are already looking forward to meeting with all our members in person in this important information sharing and empowering event. This year the IPOPI Biennial Meeting programme will feature several lectures and interactive workshops dedicated to advocacy and awareness efforts. We will also have a session entirely dedicated to fundraising to help our members ensure their financial stability. Educational lectures will also be on the menu to explore new medical advances and clinical developments. IPOPI will also be organising an interactive workshop on the implementation of the PID Principles of Care and present an Implementation Package specifically designed for our NMOs. We take this opportunity to remind our National Member Organisations and stakeholders to promptly make their travel and accommodation arrangements and to note that the early bird registration deadline is the 5th of July 2016! More information is available on the main congress website. The programme of IPOPI’s Biennial Meeting will be made available shortly!